The Dining Room looks out into the woods. 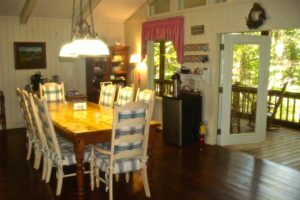 It has a large table where breakfast is served in cold weather, or a smaller table for more intimate dining. 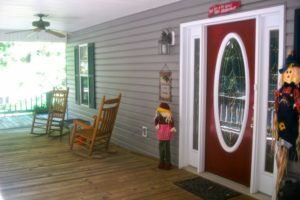 Doors open to the porch where breakfast is served when the weather is comfortable, more than half the year. The Living Room has comfortable areas for reading, playing games, or just enjoying the view of the mountains. 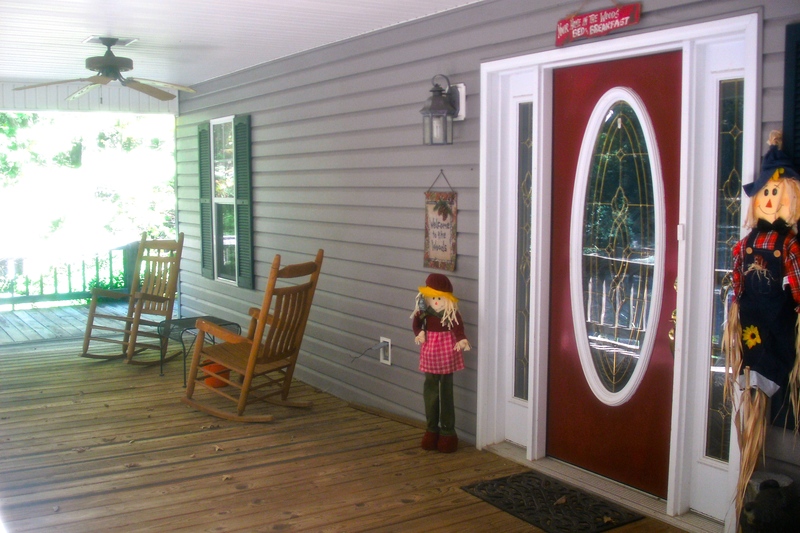 It opens onto the porch with a beautiful view of the valley and the mountains. The bookshelves are stocked with many books for your reading pleasure. The Kitchen is the source of delicious aromas. 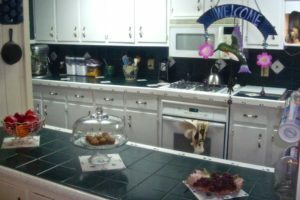 Whether breakfast is being prepared or breads and cookies are being baked, it is usually a busy place. The open pass-through allows us to have conversation while we work. 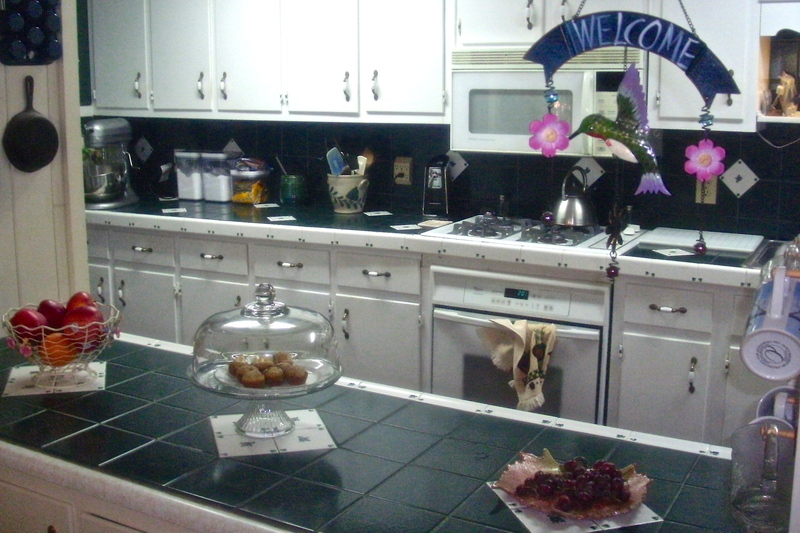 Coffee, tea, soft drinks, and snacks are always available for guests. 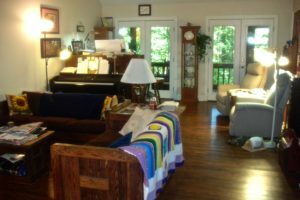 The Front Porch is a pleasant place to sit and rock, enjoying the view of the garden and the woods. 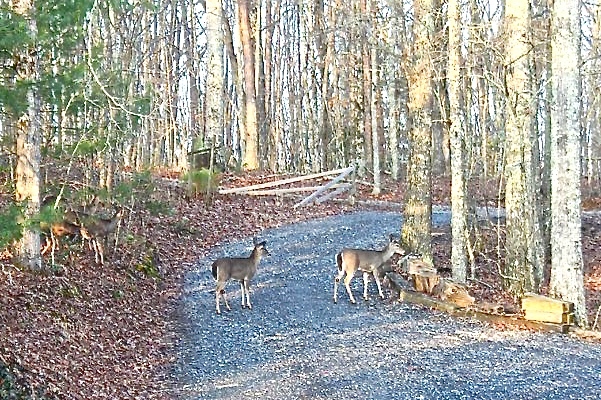 In the quiet you may see wildlife including squirrels, possums, deer, and very occasionally a bear. 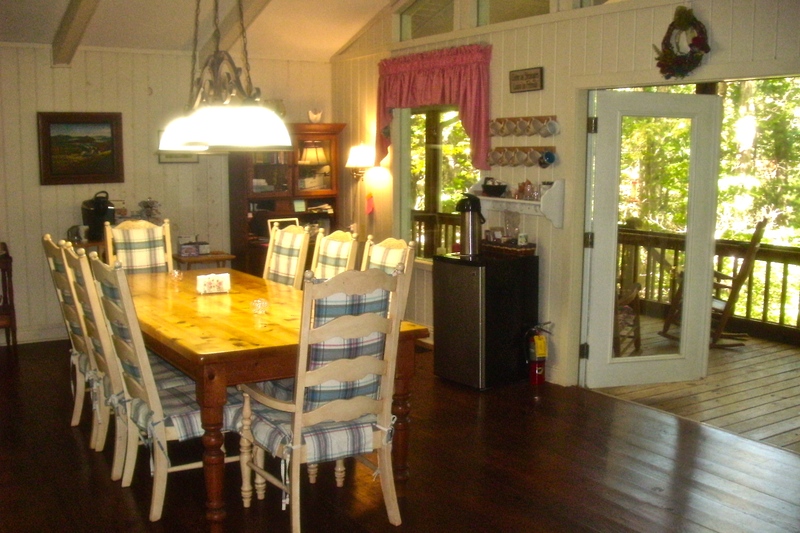 The screened in Back Porch runs the full length of the house. Trees surround the house providing privacy and a sense of isolation. Through the trees you can see across the Arquakah Valley to the mountains, with a clear view of Brasstown Bald, the highest elevation in Georgia. The house is surrounded by trees. 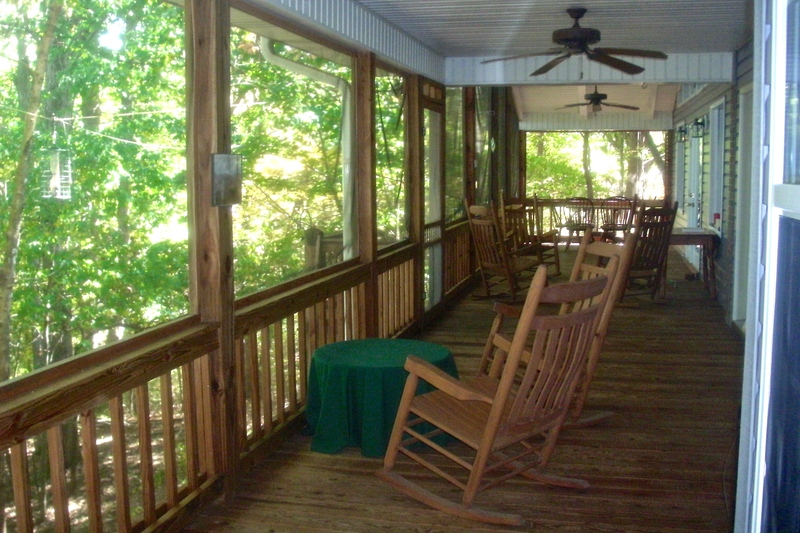 You can explore our five acres of land, or sit on the back porch and watch the trees sway in the breeze. 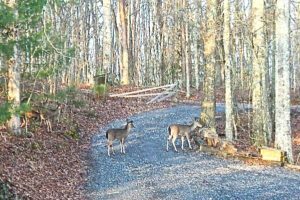 Trails lead through the woods to secluded areas with benches for resting and relaxing.